Now that you realize that becoming a better relaxer will enhance your presence of mind, let’s discuss how to improve your skills. 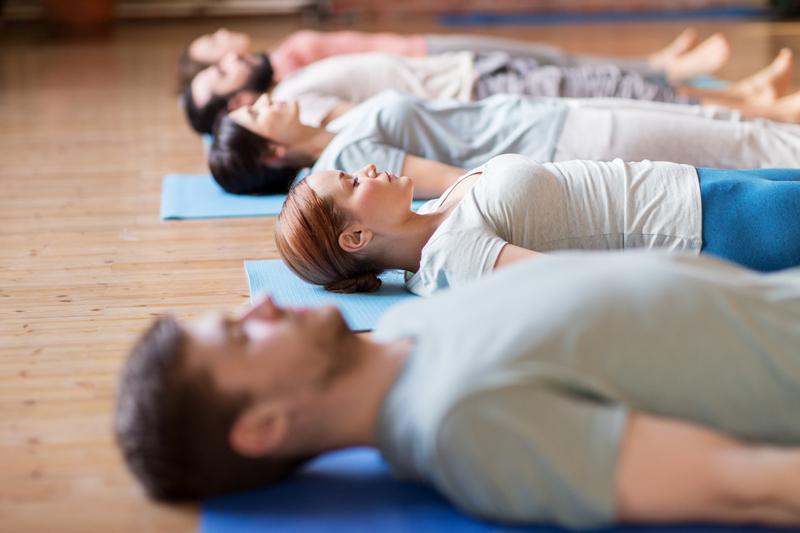 The body scan meditation is a classic way to practice progressive relaxation, and involves sensing your body from head to toe, allowing each part to relax one by one. Remember the chart comparing human beings to water: releasing physical tension unclogs emotional blockages and quiets your mind over time. How present you are and how much physical tension you carry are inversely correlated. The more tension you release, the more present you become. Does your state of mind more closely resemble the state of “presence?” Can you feel the connection between progressive relaxation and presence? Practicing mindfulness (progressively relaxing) does not require you to do anything besides simply notice, sense and feel what arises in your body and mind. Tension, on the other hand, is something that you do to yourself that inhibits your ability to be present. This is why you often hear that meditation involves “doing nothing” or “simply being.” These phrases are technically correct, but “doing nothing” must be accompanied by the mental alertness and internal awareness that you just practiced in your body scan. If you let your mind wander too much without paying attention, your body will not relax as deeply. Human beings carry a lot of unconscious tension that we are numb to. We become so accustomed to carrying tension that our brain “forgets” its sending stress-based messages to our muscles that are ultimately unnecessary. Mindfulness expands our awareness so we can actually notice the sheer volume of effort we expend tensing ourselves up and protecting ourselves. In this way, mindfulness is a powerful way to cultivate more life force energy. So when you are meditating, remember that there is plenty of tension happening in your body that is ready to be unwound. The body scan meditation has been around for thousands of years. Vipassana meditation literally means “insight into the nature of reality” and was one of the primary techniques taught by the Buddha. The vipassana is simply a body scan meditation. 10-day meditation retreats are offered internationally, in some cases for donation only, and enable you to practice body scans for many hours per day. The depth and strength of your level of presence is determined, in part, by the frequency, intentionality and duration of your mindfulness practice. Therefore, practice progressive relaxation as often, as intentionally and for as long as you possibly can. When it comes to mindfulness, more is almost always better. When you can, listen to the body scan meditation track a second time. You will notice that your ability to feel your body is stronger and sharper, that you can progressively relax more deeply. This is what mindfulness is all about.